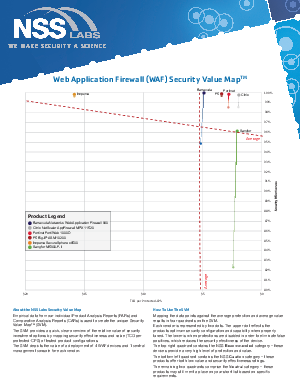 Free Offer Published By: Citrix Systems, Inc.
Empirical data from our individual Product Analysis Reports (PARs) and Comparative Analysis Reports (CARs) is used to create the unique Security Value Map (SVM). The SVM provides a quick, clear overview of the relative value of security investment options by mapping security effectiveness and value (TCO per protected-CPS) of tested product configurations. The SVM depicts the value of a deployment of 4 WAF devices and 1 central management console for each vendor.